Welcome to the June 2018 incarnation of the ongoing series in which I review samples that aren’t in liquid form. 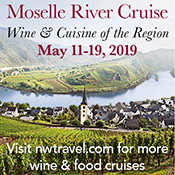 I am so, so, sooooooooooooooooooooo far behind in penning thoughts on various tastings and wine travels, but I’m also so, so, sooooooooooooooooooooo far behind in reviewing the never-ending flood of wine book samples coming my way that I felt compelled to knock off at least a small handful for this product roundup. 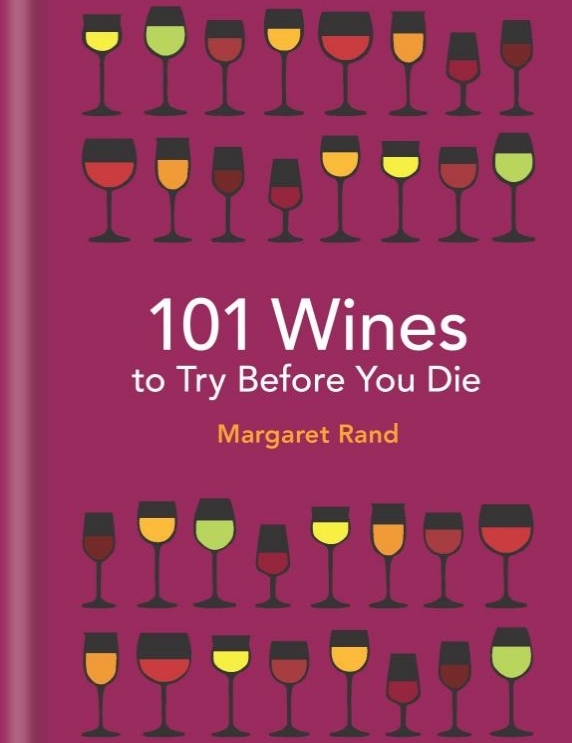 First up, we have the small-but-powerful 101 Wines to Try Before You Die (Cassell, 244 pages, about $12) by former Wine Magazine editor Margaret Rand. Generally speaking, I’m not a fan of list-style books, but Rand’s clever ploy here – in which she devotes two pages each to the wines on her list, including a bottle/label shot – is not to introduce you to individual wines per se, but to get people thinking more about things like Savennières, Hunter Valley Semillon, or Bierzo. Rand gets bonus points for employing a writing style that’s equal parts matter-of-fact, personal, and humorous (included with each selection’s vitals, such as trophy vintages and whether or not to chill or decant the wine, is a “What Not to Say” section; my personal favorite is probably “Is it German?” under Hugel’s Riesling Schoelhammer entry). 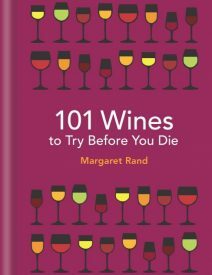 101 Wines to Try Before You Die is an honest and fun, if not essential, walk through some of compelling bottles. Next, there’s (Mascot, 144 pages, about $25) by Michael Biddick. 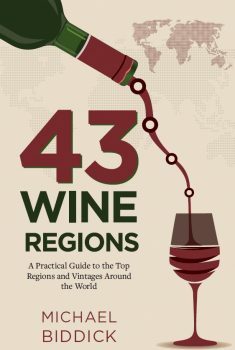 Biddick is a sommelier with an IT background, and his upcoming book is essentially full of vignettes about some of the world’s most important wine regions, accompanied by a sort of info-graphic that displays the area’s major grapes, soils, climate, and recent vintages. 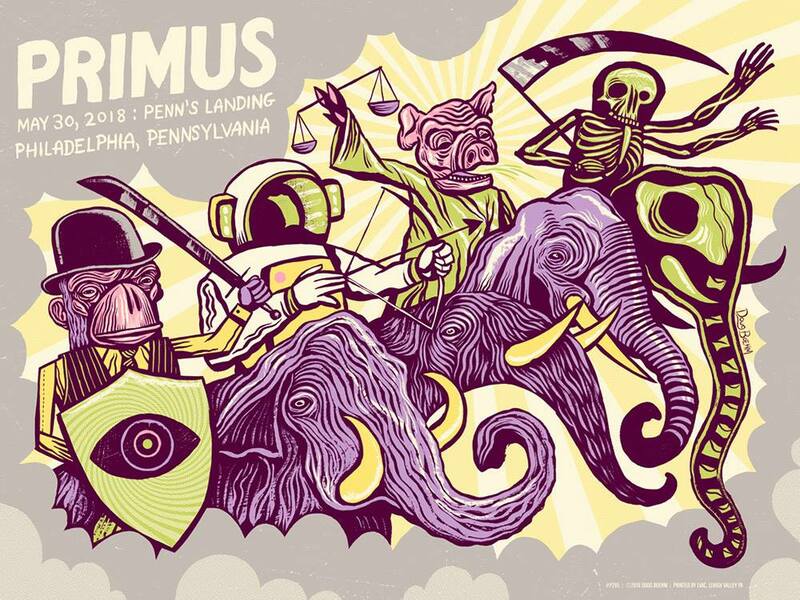 Last month, I had the pleasure of (once again) checking out the funky, entertaining, and technically dazzling band Primus, as they rolled through Philly on their Ambushing the Storm tour. Primus are currently playing with fellow prog-influenced band Mastodon in support of The Desaturating Seven, an at turns raucous, pretty, trippy, and virtuosic concept album based on Ul de Rico’s also trippy, gorgeous, and all-too-allegorically-topical-and-relevant-today (hey, one of the goblins is Orange… just sayin’…) children’s book The Rainbow Goblins. The album is played in its entirety during the show, with vibrant and also trippily-fantastic visual accompaniment that, I can tell you from personal experience, goes down even better with a wine-altered state of consciousness.